It has been suggested that a balanced nutritional intake may be useful in preventing or even reversing sarcopenia. To describe cross-sectional associations between dietary nutrient intake and sarcopenia. Subjects recruited from the SarcoPhAge study population completed a food frequency questionnaire. The micronutrient and macronutrient intake was evaluated in both sarcopenic and non-sarcopenic participants. The Nutritional Belgian Recommendations of 2016 were used, i.e., adequate intake and estimated average requirement (EAR). For micronutrients, the prevalence of insufficient intake was estimated as the proportion of subjects whose intake was below the EAR. 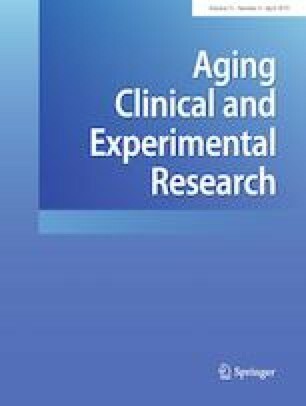 A total of 331 subjects (mean age of 74.8 ± 5.9 years, 58.9% women) had complete data and were included in this study. Among them, 51 were diagnosed with sarcopenia (15.4%). In the fully adjusted model, analyses revealed that sarcopenic subjects consumed significantly lower amounts of two macronutrients (proteins, lipids) and five micronutrients (potassium, magnesium, phosphorus, iron, and vitamin K) than non-sarcopenic subjects (all p values < 0.005). A significantly increased prevalence of insufficiency was found for sarcopenic subjects compared to non-sarcopenic subjects for potassium, magnesium, iron, calcium and vitamins E and C (all p values < 0.005). The prevalence of sarcopenic subjects who were also below the Nutritional Belgian Recommendations for protein and lipids was significantly higher than that of non-sarcopenic subjects. Sarcopenic subjects seem to consume significantly reduced amounts of many micronutrients and macronutrients compared to non-sarcopenic subjects. These results suggest that a poorly balanced diet may be associated with sarcopenia and poor musculoskeletal health, although prospective studies are needed to confirm these findings. The online version of this article ( https://doi.org/10.1007/s40520-019-01186-7) contains supplementary material, which is available to authorized users. We would first thank all participants of the SarcoPhAge study for the time they dedicated in our research and for their fidelity over the years. We would like to acknowledge Pr. Michèle Guillaume, head of the Department of Public Health of the University of Liège for her help and support in designing our Food Frequency Questionnaire. Moreover, we thank Nathalie Arnault, biostatistician from the «Equipe de Recherche en Epidémiologie Nutritionnelle (EREN, UMR U1153 Inserm/U1125 Inra/Cnam/Universités Paris 5, 7 et 13, Centre de Recherche en Epidémiologie et Statistiques Sorbonne Paris Cité (CRESS)» for their support in analysing results of the Food Frequency Questionnaire. CB and ML are supported by a fellowship from the FNRS (Fonds National de la Recherche Scientifique de Belgique—FRSFNRS—http://www.frs-fnrs.be). All procedures performed in the studies involving human participants were in accordance with the ethical standards of the institutional and/or national research committee as well as with the 1964 Helsinki Declaration and its later amendments or comparable ethical standards.